Building Inspection Team, Certifications & Licensing @ Building Analyst Group Inc.
Certifications, licensing and doing what you love. It’s not really work when you do the job you have a passion for. Putting together all the pieces and hard work will pay off. Not only that but by helping people in making an informed decision pays off. Anyone can say they are certified. But do they post their certifications online for clients to see, or just say they are? 25 years married to Annette & 30 years in the building trades. 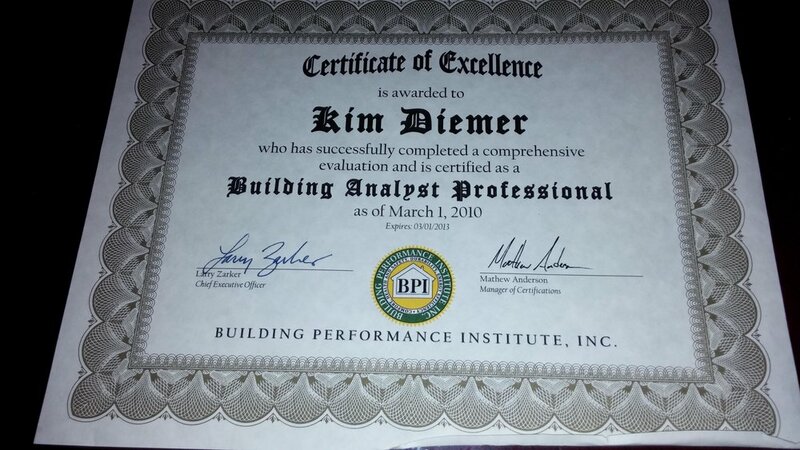 Kim Diemer the CEO and lead inspector for Building Analyst Group Inc. He has a world of experience in both commercial and residential construction. With 30 years experience in HVAC-R, engineering electrical, weatherization, building science, building envelope, plumbing, structural and commercial gas fired equipment. He spent his earlier years as a labor crawling under homes installing duct systems, electrical wiring to years on scissor & boom lifts in commercial buildings. Working in construction for many years pre wiring commercial buildings to building restaurant kitchens. Gaining experience from his mentors he then found himself as a technician troubleshooting buildings for energy management, moisture, lighting, HVAC air flow etc. He could be working on top of a UPS distribution building installing 100 tons of AC to figuring out why a third floor building was warmer than the sixth floor. Traveling the USA for years providing technical training to business owners and developing new energy efficiency programs for businesses. Through the years he has acquired nine certifications and hundreds of hours in class rooms obtaining his education in the building envelope. Even to present day continuing education is a must. 19 years as a CEO creating successful businesses and as a euapenure. Fascinated by building science technology keeps him on his feet. As I have always said, if you want it done right do it yourself & never stop learning! These certifications are a notification of many years dedicated to this industry. It should display that we work hard and very serious in regards to providing the best quality of services. While most other companies do the bare minimum to be licensed, we far exceed them. Annette has spent most of her life beside Kim. Supporting his endeavors and as the corporate secretary. Annette has many interest and now as a inspection assistant. 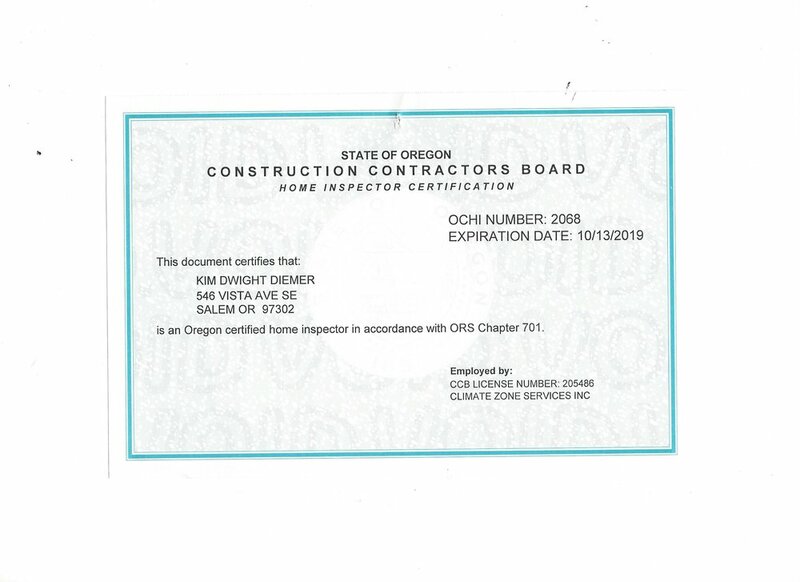 She handles all the accounts and scheduling plus enjoys commercial and residential inspections. She grew up in Bend Oregon and loves the beauty of the high desert. Her passion is with animals first and buildings second.